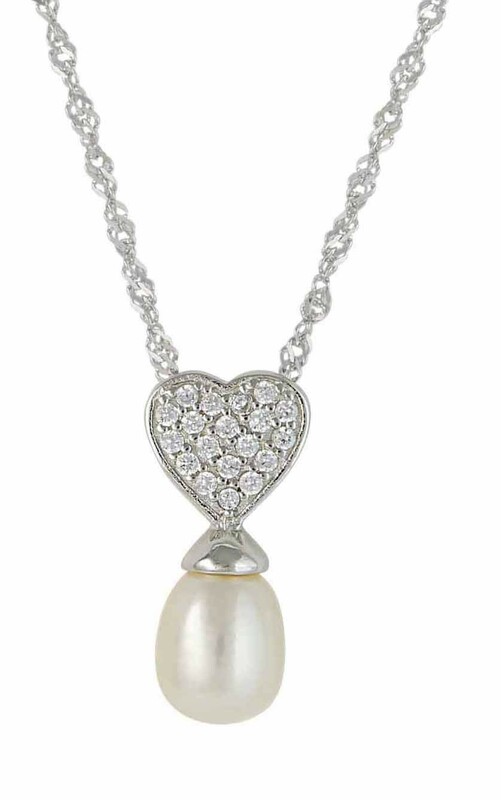 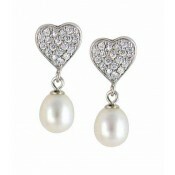 Freshwater pearl and heart pendant necklace from The Opal. 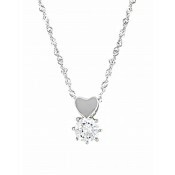 This elegant and feminine necklace is crafted from sterling silver and features a single heart charm encrusted with cubic zirconia gemstones. 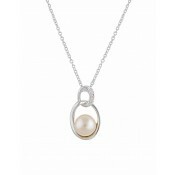 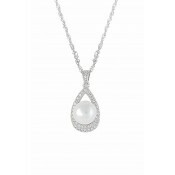 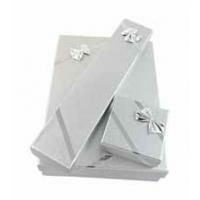 Below the charm hangs a single freshwater pearl.